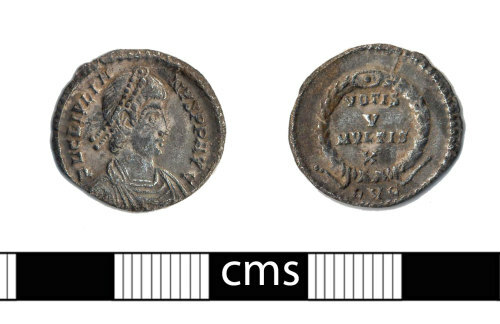 A complete Roman silver siliqua of Julian II (AD 355-363), dating to the period AD 360-363 (Reece Period 18). Reverse: VOTIS V MVLTIS X in wreath. Mint of Lyon. RIC VIII, p. 193, no. 218.